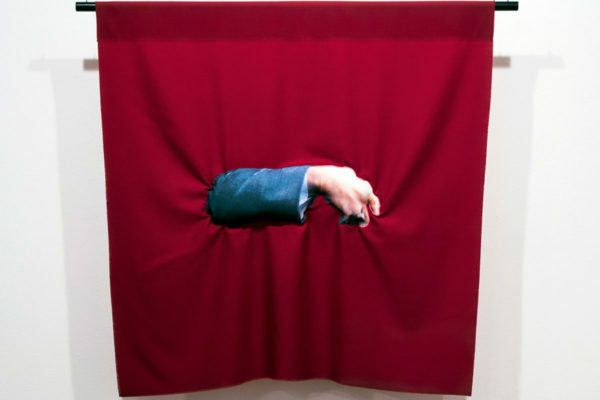 Bean Gilsdorf, Schwarzenegger, 2015; wool and polyester; 36 x 36 in. Show your true colors and create a flag sculpture inspired by works in the exhibition Bloom Projects Exchange Series: Bean Gilsdorf, Soft Actor. MCASB Director of Engagement Monika Molnar-Metzenthin will lead the activity and make sure wine glasses stay full.